Toaster Oven Roasted Carrots. Sweet and tender olive oil roasted carrots drizzled with balsamic vinegar. Add this easy veggie side dish to your dinner tonight! Tender yet toothy, sweet and slightly smoky that is how a good roasted carrot should taste! I’ve been on the receiving end of many a mushy cooked carrot. So I promise you no mush. No overly sweet syrup drenched veggies. These are the REAL DEAL. Simple roasted carrots so good I would serve them to Mr. Bugs Bunny himself. 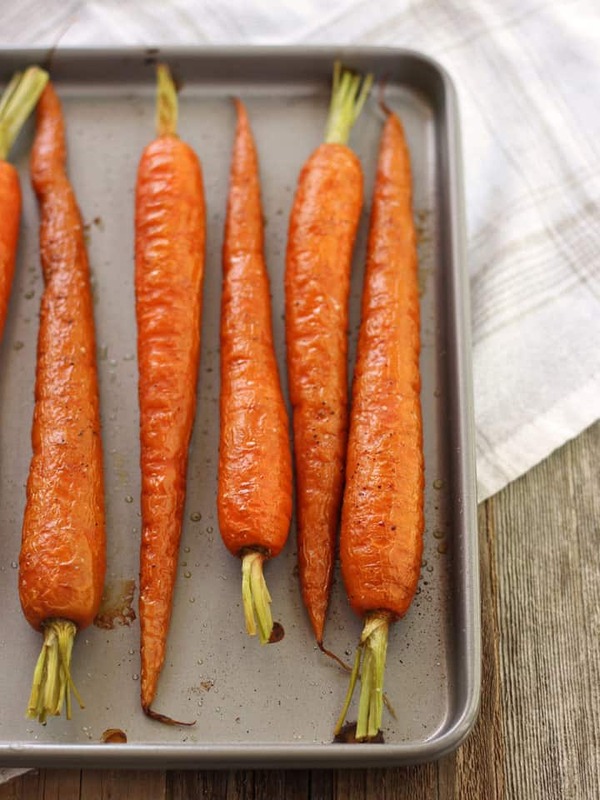 For the best roasted carrots start with F-R-E-S-H! You can absolutely use bagged carrots in a pinch but I’m telling you once you go fresh you won’t want to go back. Fresh carrots are bright, full of moisture and actually have a sweet straight from the garden aroma. 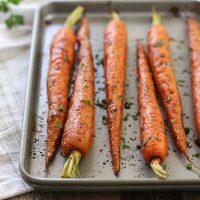 Which Carrots Are The Best For Roasting? If your budget affords, purchase the organic ones. Carrots absorb a lot of pesticides that get concentrated in their skins. Peeling helps to remove the pesticides but just like with toaster oven baked potatoes and baked sweet potatoes peeling steals away nutrients and flavor. Hmmm…Should I keep or remove the greens? 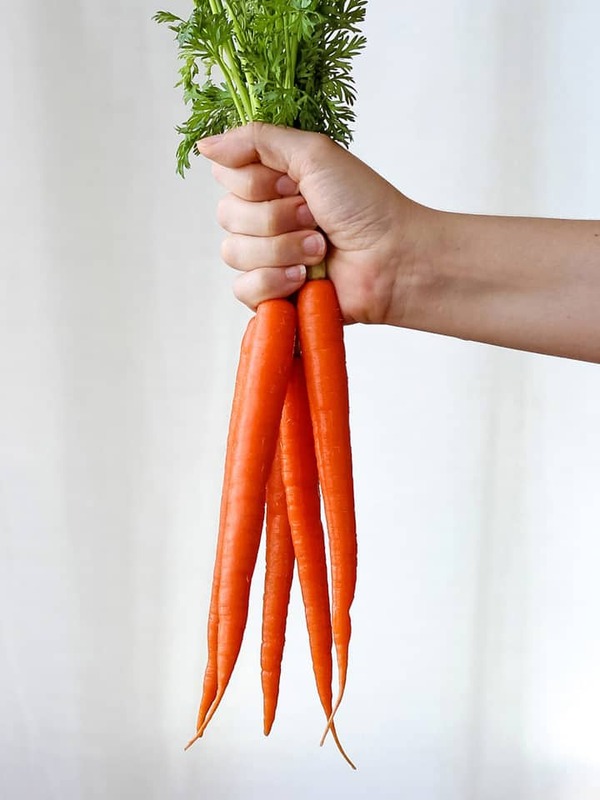 If you purchase your carrots with their greens attached make sure to remove them before storing. Left on the greens will raid the carrots of moisture and dry them out. Preheat your toaster oven and find the largest rimmed sheet pan or roasting pan you can fit in it. We like to double up the two cookie sheets from our Farberware Toaster Oven Set (one by itself always warps). If your toaster oven is larger you can use a heavy duty 1/4 sheet pan instead. Cut down the carrots to fit the sheet if necessary. Drizzle with a little oil and sprinkle of salt and pepper. Super fun part → shake the pan back and forth to coat all of the carrots. That’s it, now we roast! Like roasted brussels sprouts, asparagus spears, and roasted beets, the cook time depends on how thick/large your carrots are. Smaller guys will need less time, big honking carrots take much longer. For medium sized carrots start checking around 15 minutes. With a quick drizzle of balsamic vinegar! Shake the pan back and forth again to coat and return to the hot toaster oven. After 5 minutes your carrots will have absorbed most of the vinegar. Lastly, sprinkle on fresh chopped parsley. Then prepare yourself for a batch of most-certainly-not-mushy sweet and tangy roasted carrots! 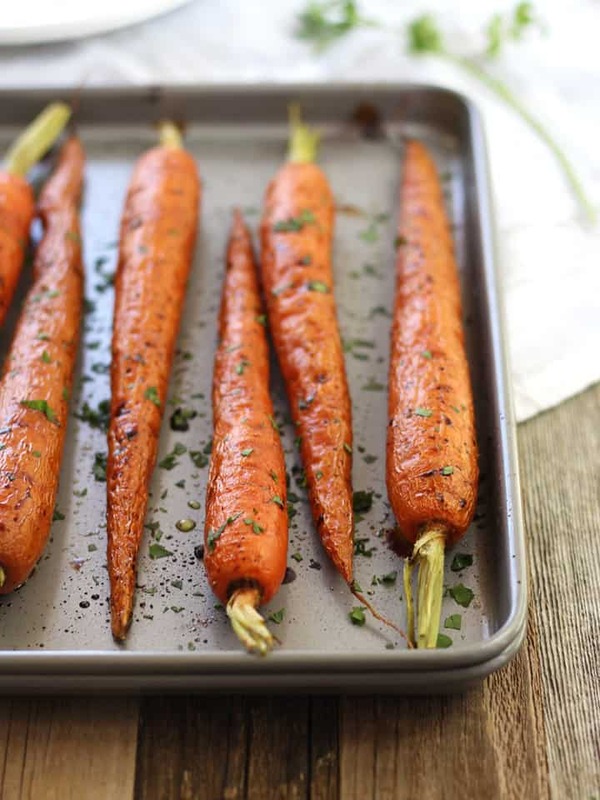 An easy recipe for sweet and tender toaster oven roasted carrots. Enjoy them lightly seasoned or dressed up with a drizzle of balsamic vinegar. 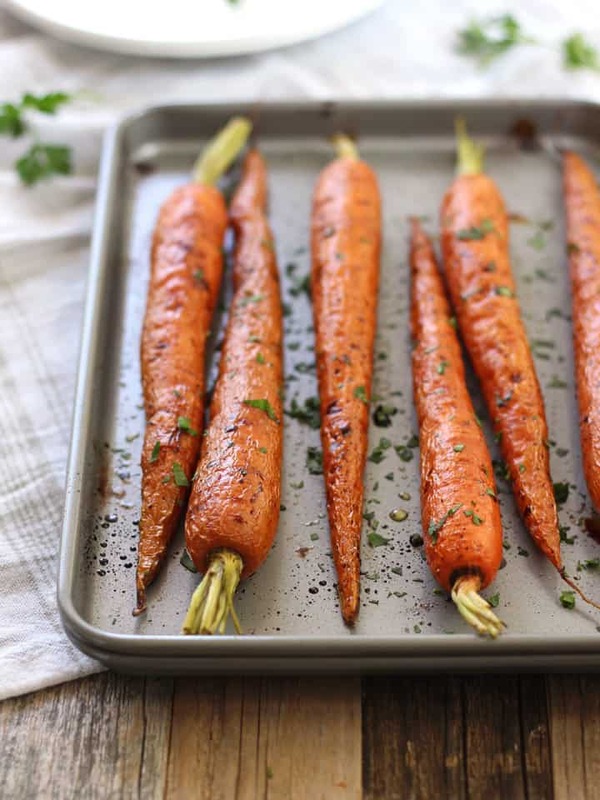 Preheat your toaster oven to 450 degrees F.
Arrange carrots in a single row on a rimmed toaster oven baking sheet. Drizzle carrots with olive oil and shake the pan back and forth to roll the carrots and evenly coat with oil. Sprinkle with salt and pepper. 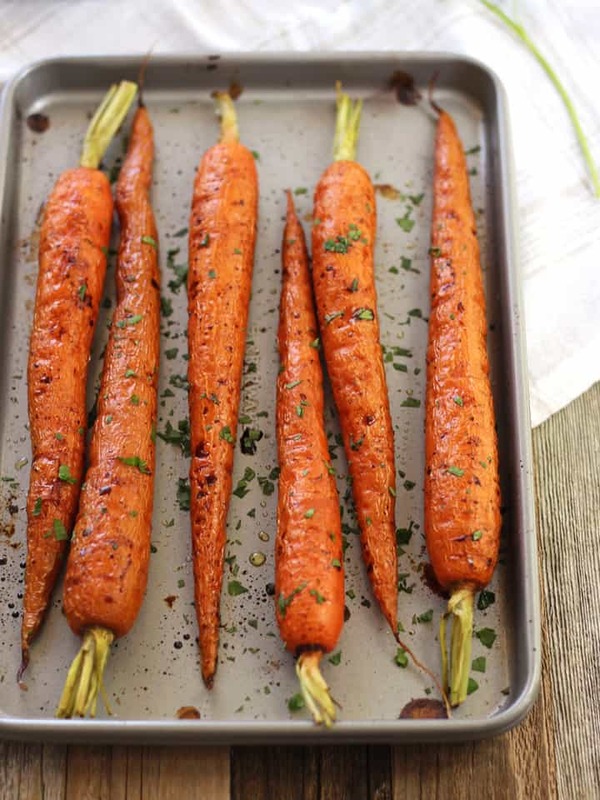 Roast carrots for 15 to 25 minutes, rotating the pan halfway through, until they are lightly browned and just tender. Remove pan, drizzle carrots with balsamic vinegar and shake pan to coat them evenly with vinegar. Return carrots to the toaster oven and cook for another 5 to 6 minutes until most of the vinegar has been absorbed. Sprinkle cooked carrots with chopped parsley and serve warm. *Cook time will vary and depends on the size of your carrots. Cook smaller carrots for 15 to 20 minutes and large carrots 25 to 35 minutes. Thanks for pinning Kathryn I hope you enjoy them! I love roasted carrots, one of my favorite ways of eating them. 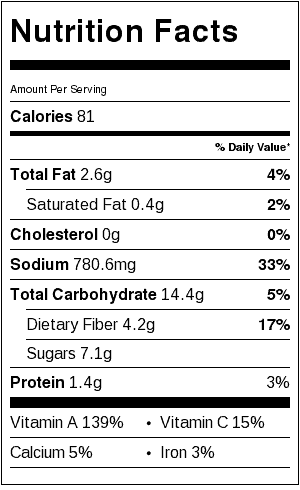 We go through huge amounts of carrots though, we eat them in every possible form. I buy them always organic, compared to other sorts of veggies, there is not a huge price difference between the organic and the other ones. And I find that you can taste the difference, at least when they are raw. I think I am making some today, you make me crave them!!! I gotta say I’m getting pretty jealous of your awesome available produce Adina 🙂 First all that rhubarb and asparagus; now affordable organic carrots too! Holy cow these look amazing! I need to try this soon! Thanks Joy, I hope you enjoy them!